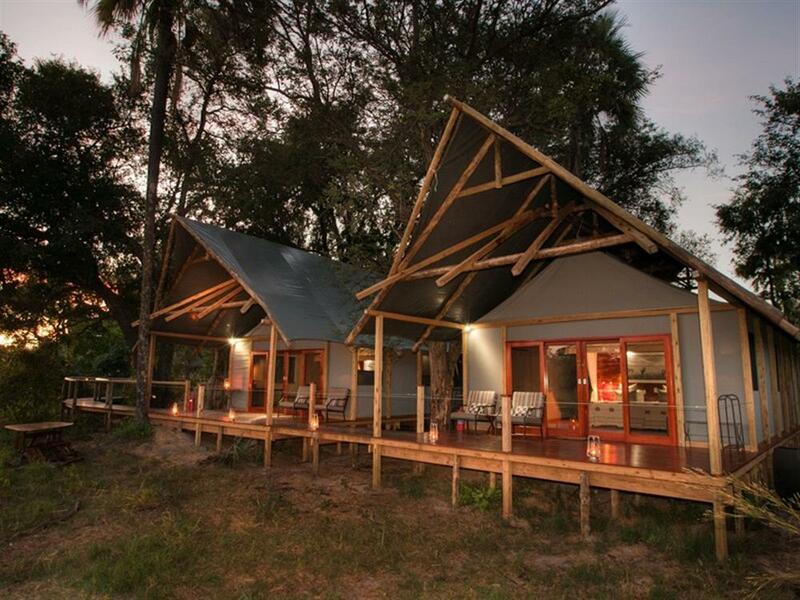 Chitabe Lediba Camp is a small, intimate camp located on the same island as its sister, Chitabe Camp, in the Okavango Delta. 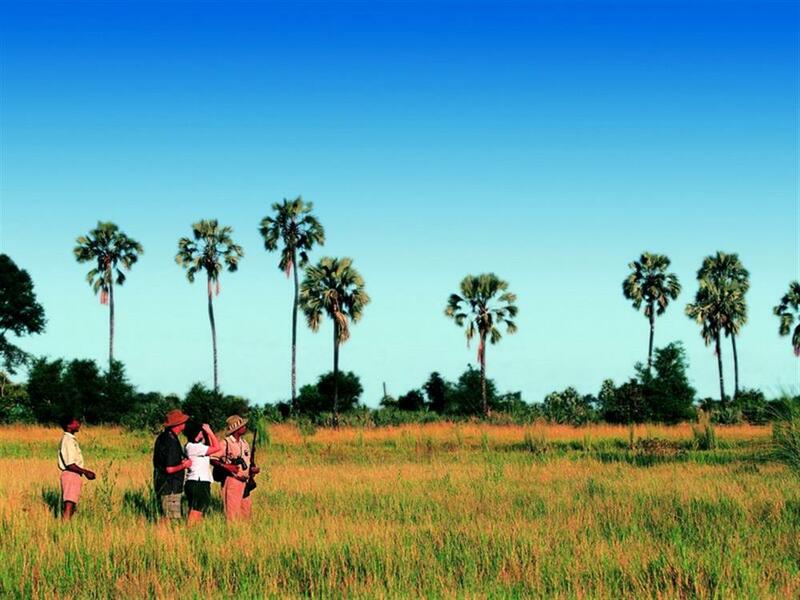 The Chitabe Concession consists of 28 000 hectares of the widest range of habitats known to the Okavango Delta. From savannah to tree-filled islands and floodplains, a safari here makes for the most amazing wildlife sightings. 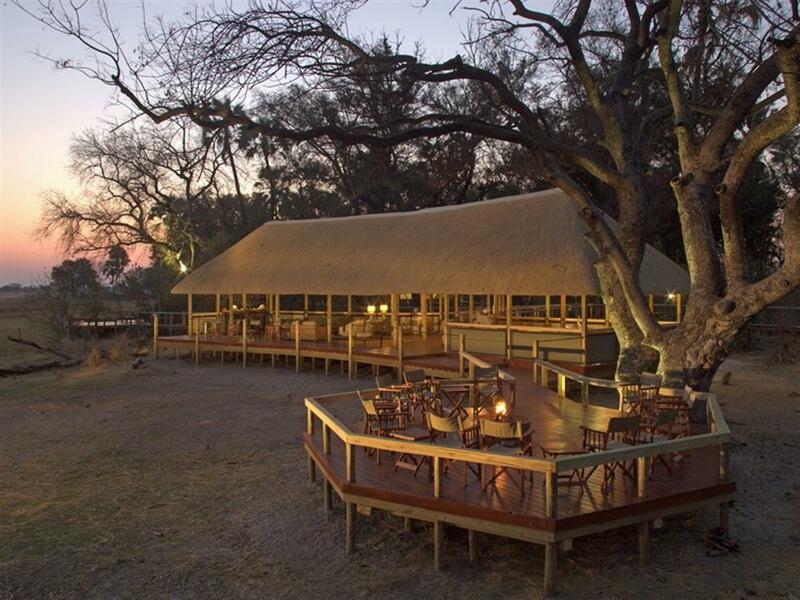 Chitabe Lediba Camp is smaller than its sister, Chitabe, and offers a much more intimate experience - ideal for small groups or families. Its two family units have adjoining bedrooms and en-suite bathrooms. 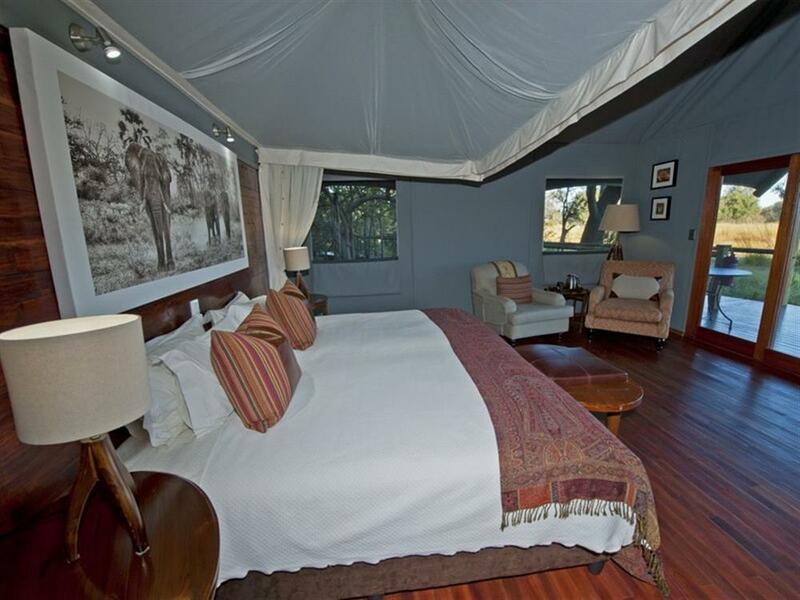 All five spacious Meru-style tents are built on raised decks. 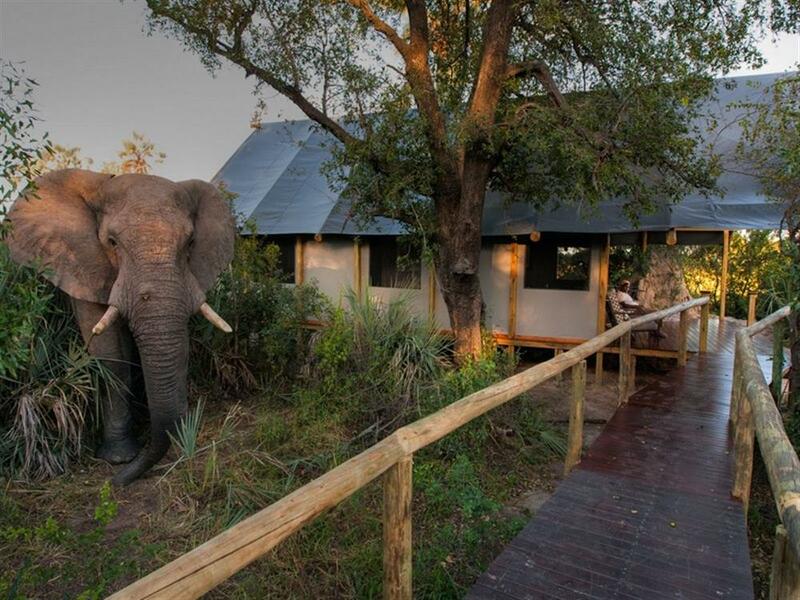 En-suite bathrooms have outdoor showers with panoramic views of the Okavango Delta. The camp has a dining area, lounge and pool which all have a spectacular view over the small lediba (remnant lagoon that has become a waterhole) after which the camp is named. Guests can view the multitude of wildlife which comes to drink by day from the comfort of the camp itself. Chitabe Lediba has both morning and afternoon game drives to explore the breathtaking variety of landscapes, habitats and wildlife which border the Chitabe Concession. Afternoon drives usually return after dark in the hopes of spotting the shyer nocturnal animals of the Okavango Delta such as genet, civet, serval, porcupine and, on the rare occasion, the aardwolf. 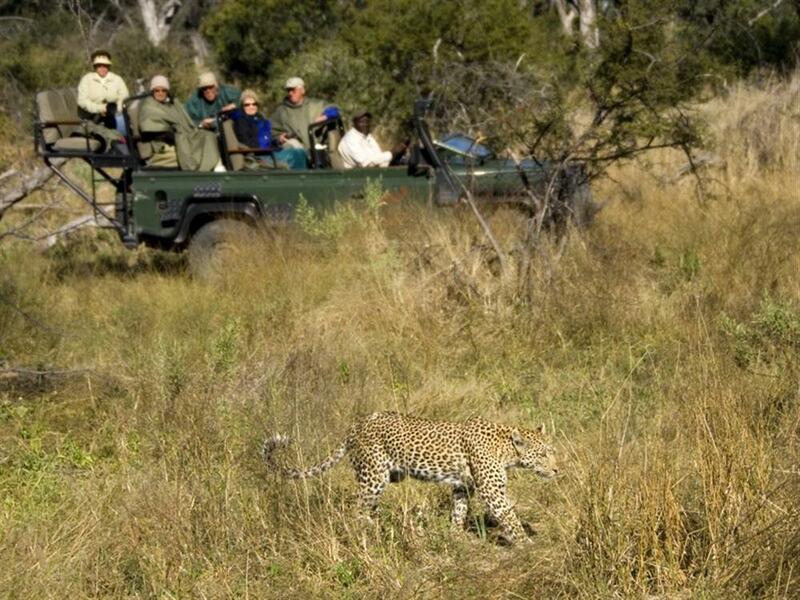 Game drives take place in the same area as Chitabe Camp's guests, so the viewing experience is identical. Wildlife seen here includes elephant, buffalo, lion, leopard and cheetah; as well as zebra, tsessebe, giraffe, kudu and impala. On occasion guests are also privileged enough to see Wild Dog.